4bedroom, 2 bathroom, air conditioned house on 200 acre farm with a mile of waterfront on Maryland's Eastern Shore. Within 100 yards of the deck there is a dock perfect for watching sunrises and sunsets. Kayaks and canoes are available.The house is located in a waterfront woodland full of turkeys, owls, and deer. Longer term stays available at alternative farm cottage if desired. Striped bass fishing in late September and October. Spring Cove Farm is a working farm owned by the Dobbin family for 50 years Doug and Marian raise and show llamas and dogs. The farm is a beautiful place to hike, swim and relax. You have complete privacy and yet are close to shopping, restaurants and a championship Golf Course. sandy beach and shallow water make it nice for families with children to swim. Floating dock to lounge on. 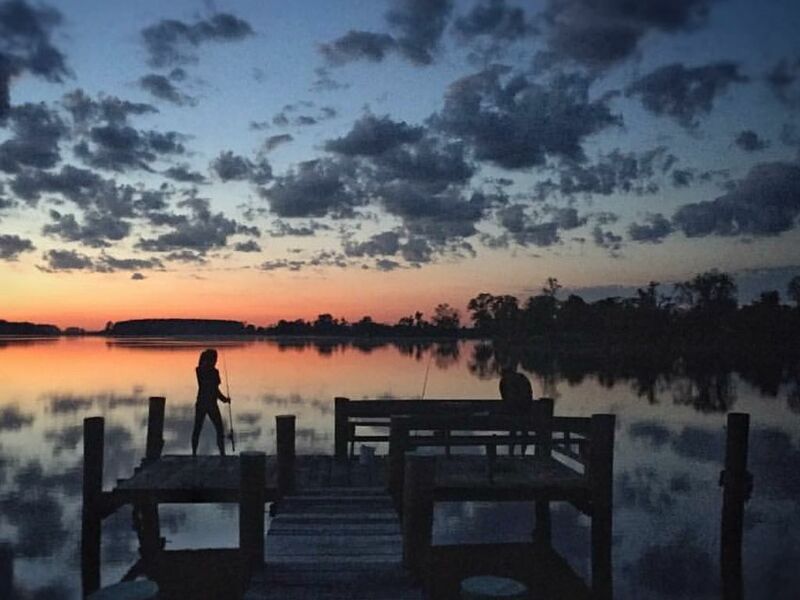 Dock for fishing, crabbin boating and sunsets!